This container is just what you need for a successful promotion! 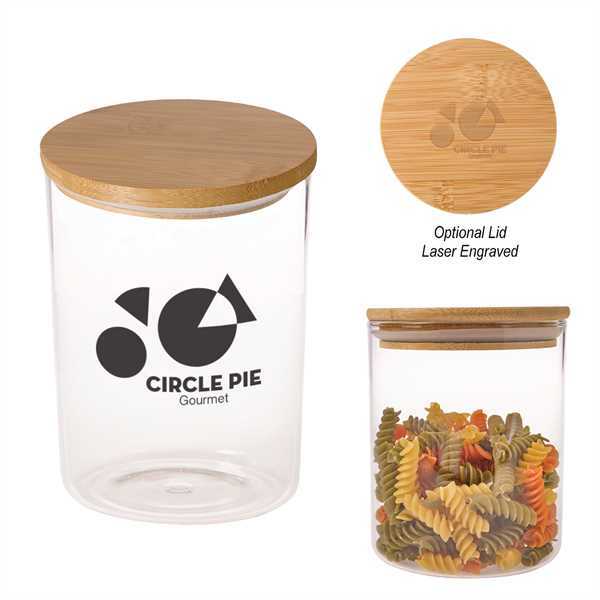 It's made of glass, measures 4 3/4" x 4" x 4 1/2", and features a bamboo lid to keep contents protected and fresh. This is the perfect item to hold snacks, candy, condiments, and more. It meets FDA requirements and Hand Wash Recommended for proper care. Be sure to add your company name or logo to make a statement to recipients of this great item! Size: 4 3/4 " x 4 " x 4 1/2 "